Fine, we'll go put 80-90 more hours into the game. Remember when Terraria was abandoned by its creator? Psyche! A massive update was recently released, adding so much new content it's worth starting a new map just to see how things have changed. The update to Terraria 1.2 has been a long time coming. Developer Andrew Spinks put at least nine months of work into it, adding things based on fan feedback as well as his own whimsical... whims. The result is a pages long list of new items, new enemies, new blocks, new biomes, new bosses, new events, and, well, you get the picture. There's a lot to see in Terraria 1.2, which is why even seasoned Terrarians are pretty excited about the patch. Listing all the new things, tweaked things and changed things would be an article unto itself. Instead, here's some of the highlights to get you pumped for playing Terraria again. 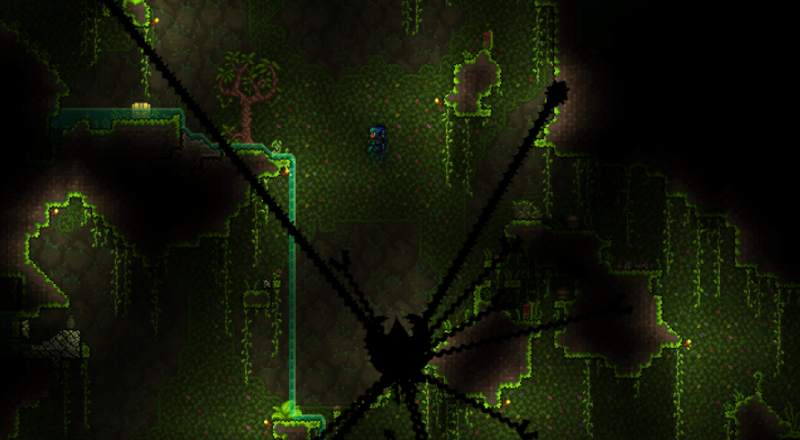 The full changelog can be found on the Terraria wiki. Terraria 1.2 is currently available for PC via Steam. No word on when or if the update will spread to console or mobile versions of the game. Page created in 0.4936 seconds.